Contemporary piracy is a booming criminal activity, not only because of its high profitability with an extremely positive cost-benefit balance for the perpetrators, but also due to the acute vulnerability of the targets, lack of awareness and specific countermeasures along with the highly underreported nature of the crime. Since the beginning of 2008 UNICRI started to develop the idea of a programme taking into account the Institute’s competences in crime prevention and knowledge management, and its expertise in the establishment of an effective public / private partnership to counter crime. The programme has been conceived within the framework of the UN convention on the Law of the Sea (1982) and on the Convention for the Suppression of Unlawful Acts Against the Safety of Maritime Navigation (1988), considering also the United Nations Security Council Resolutions 1816, 1846 and 1851 (2008), which authorize a series of decisive measures to combat the acts of piracy against vessels off the coast of Somalia. The programme will be initially implemented and tested in three regions of the world with specific and different characteristic: the Horn of Africa, the Gulf of Guinea and the South China Sea. The present proposal has been fine tuned on the basis of the findings of “Stakeholders Meeting on Maritime Piracy in Somali Coast” held in Turin, Italy, on 28 January 2009. Seventy-five experts attended the meeting, representing 10 UN Member Countries, 9 International and Regional the programme’s goal is to play the role of a politically neutral “facilitator” of a truly effective public/private partnership (PPP) able to establish a permanent dialogue between victims and potential victims of piracy and service providers of technologies. The project on the prevention of maritime piracy is structured in four main integrated components: applied research and knowledge management, intelligence sharing and coordination, training, and the involvement of local communities. Within the context of the applied research and knowledge management three main research objectives have been identified. The first is to increase the knowledge on the main features of contemporary maritime piracy in three current maritime piracy “hotspots”: the regions of the Horn of Africa, the Gulf of Guinea and the South China Sea. Subsequently, on the basis of the data collected there will be the identification of regional and global Risk Indicators, along with the cooperation of the International maritime Bureau. The second research objective is to identify “best practices” in the fight against contemporary maritime piracy based in law enforcement and civil society, as well as possible gaps and needs in terms of operational procedures or training. Finally the research component will focus on technology, assessing possible technological resources for the prevention and the contrast of maritime piracy. Two main technological areas currently appear very promising and will be considered in the research phase: on the one hand, in partnership with UNOSAT, the assessment will focus on Imagery Intelligence (IMINT) Satellite Technology. On the other we will consider the wide category of the so-called “Electronic Countermeasures” (ECM) for enhancing “active” and “passive” defence for potential targets of maritime piracy. There are already numerous coordination mechanisms currently enforced and there are numerous other agencies that are dealing with this issue. However, the programme aims to establish, at the practical and operational level, a strong public/private partnership in this sector. Final purpose is to increase intelligence sharing and coordination among local, regional and international stakeholders to reduce the emerging threat of contemporary maritime piracy. The establishment of such coordination and intelligence sharing mechanisms – among military, regional law enforcement, civilian authorities and private actors – should be supported by the elaboration of standard protocols and guidelines able to link and coordinate the public (military and Law Enforcement) and the private sector on a national and international level. In the fight against maritime piracy training is a key factor and must be designed on the basis of real needs. Training should be devoted to increasing the capacity of crews and regional law enforcement to identify risks and adopt security measures to prevent, deter or deal with pirate attacks. A training manual and specific training curricula for crew security will be designed, which will include specific kidnapping/boarding prevention modules. The training manual and the training curricula will be based on UN conventions, rules and regulations, as well as Security Council Resolutions. As a complement to the manual, an anti maritime piracy toolkit will be delivered to crewmembers. Maritime piracy experts agree that Maritime Piracy is a crime phenomenon that “starts on land, not on sea”. Therefore the only possible way for preventing and eradicating piracy in a region is by isolating pirates from their local community, and thus cutting off their logistical support. Therefore, to properly address maritime piracy, some of the factors that are fuelling this phenomenon in the region should be suppressed. This means, on the one hand, supporting preventive and countering measures against, for example, the illegal fishing and illegal dumping of toxic wastes; on the other, raise the awareness in the international community about the abovementioned crimes. At the same time, a supporting action for the local civilian (village elders) and religious authorities (local mullahs), who traditionally oppose pirates, should be followed by a confidence-building initiative in support of regional and international actors involved in counter-piracy operations, making clear that the involvement of the International Community is aimed primarily at protecting the local community and their rights. This should be enhanced and consolidated by an awareness-raising campaign in order to awaken the local population to the problem of maritime piracy and its associated dangers. 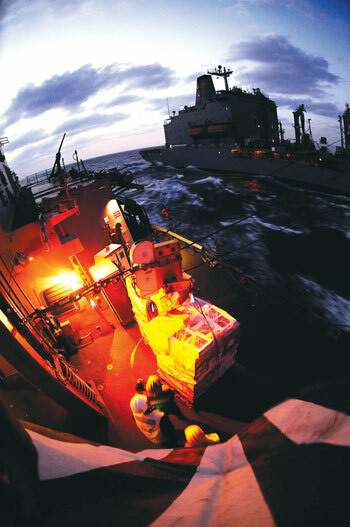 The only possibility the international community has to eradicate the phenomenon of maritime piracy is to “deliver as one”, working jointly to reach the same goal. Giuseppina Maddaluno is project coordinator for emerging crimes and counter human trafficking; Giacomo Mascoli is project officer for emerging crimes and counter human trafficking.